The Internet has changed the landscape of e-commerce and traditional business. Its potency to expand the business globally attracts startups and established companies to move forward on globalization. Quite frankly, the premise bears a fact. However, while it is an alluring and attractive market to pursue, foreign brands still have some apprehension to enter the China market. To ease the tension, we thought of giving you practical tips on how to get leads in China market while your run the business at your homeland. The secret is to leverage on the power of Internet in China. A lead (also known as) sales lead is a person or entity that might be interested to buy a product or service. The Internet is the most effective way to reach out to Chinese consumers since this where they usually flock every day. Just imagine the exposure and online presence you can build if you are serious in getting leads. You might think they are basic bulleted pointers, but most of the time the mastery of basics often lead you to go deeper and wider understanding of your target market. Connect – the best way to connect and get leads is to connect virtually with LinkedIn. It is a highly effective social networking business platform that executives and entrepreneurs use to find new prospects, clients, and business partners. However, the website has its own set of rules on connecting people. Make sure you read its terms and conditions before using it. If you don’t have time to manage it, work with your assistant to maintain it and update it for you. 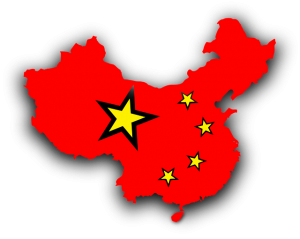 Conduct – through social media websites and other Internet platforms, conduct some research about China, the China market and the rules governing China Internet laws. If you wish to use web 2.0 tools such as blogs, websites, and videos, start Googling the dos’ and don’ts of China Internet. You may also use LinkedIn to conduct research by joining groups and asking some of your connections that know best the China market and culture. There are many available resources such as case studies and white papers about China market that provides information regarding its current situation, challenges and opportunities. In this way, you will know whom you should connect with, make friends and be active on forums. Communicate – assuming you have found a handful of local contacts; you can take a big step forward in communication with the use of marketing platforms. If you wish to pursue China market, communication is a crucial aspect to target your audience. You cannot say what you need to say about your product or service. You need to communicate it in ways on how the China market receives and perceives it. To effectively communicate, you may need the assistance of translation companies to translate your marketing copies, including the translation of business cards, catalogs, brochures, and web localization to further make a big step to leverage on the Internet. Work with a translation company for dubbing marketing videos and multimedia into Chinese and Mandarin so you can share them to your local audience using homegrown Internet websites and social media networks.